1/30/2019 from 6 P.M. - 8 P.M.
John David Cook, 87, of Campbell, passed away on January 28, 2019 in Commerce. A celebration of life service will be 10 A.M., Thursday, January 31, 2019 at Coker-Mathews Funeral Home Chapel with Rev. Danny Gandy, Rev. Brian Garmon and Rev. Bill Garmon officiating. Burial will be in Memoryland Memorial Park. Visitation will be Wednesday, January 30, 2019 from 6 P.M. to 8 P.M. at the funeral home. 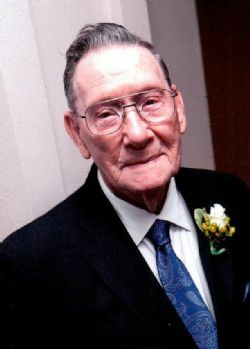 Mr. Cook was born in North Little Rock, Arkansas on August 17, 1931 to Delmas D. Cook, Sr. and Bertha Lou Starrett Cook. He married Esther Marie Davis Cook on January 12, 1952 in North Little Rock, Arkansas, she preceded him in death. He married Joyce York Cook in Greenville, who also preceded him in death. He retired after 37 years as an aircraft painter from Raytheon in Greenville. He was in the Navy Reserves and was a member of Ardis Heights Baptist Church, where he served as deacon for 50 plus years. He is survived by his son, David L. Cook and wife, Debbie of Greenville, daughter, Martha L. Reynolds and husband, Mike of Campbell, step-daughter, Deanie Lambert of Alabama, brother, Frank Cook of Butte, Montana, brother-in-law, RM York, grandchildren, Deavon and David McNair of Greenville, Chris and Deidra Reynolds of Greenville, Lyndsay and Lance Hicks of Greenville, Emily and Brian Godawski of The Colony, Alex Barrett of Bismark, Arkansas, Mike and Pam Barrett of Nashville, Tennessee, Shela Talley of Alread, Arkansas and Frankie Cook of Fordyce, Arkansas, along with numerous great-grandchildren and great-great grandchildren. He is preceded in death by his parents, brother, Delmas Cook, Jr., son, Franklin Bennett Cook and daughter, Marilyn Barrett McAteer. Pallbearers will be Andy Priest, Philip May, Todd Raetz, Chris Kirkpatrick, John Griffith and Steve Fortner. Honorary pallbearers will be John Alexander, R.M. York and Mike Mullins. Memorials may be made to Ardis Heights Baptist Church, 2423 FM 118, Greenville, Texas 75401.